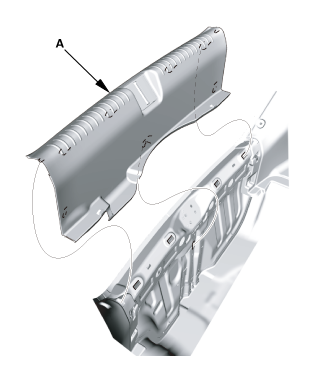 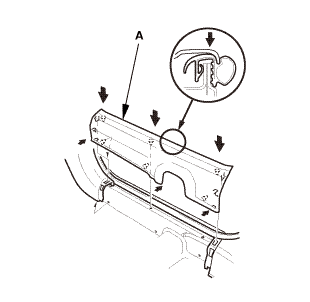 Disconnect the moonroof front drain tube (A). 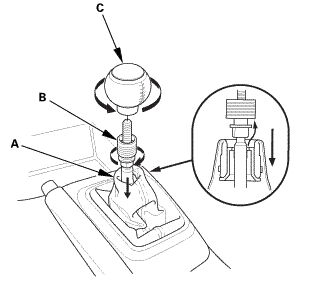 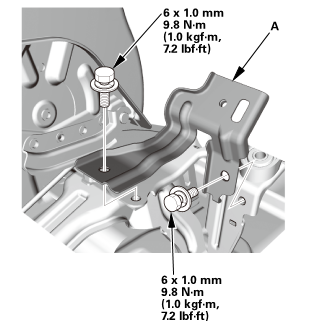 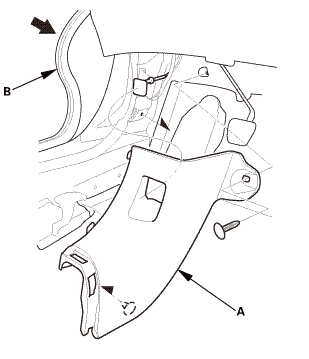 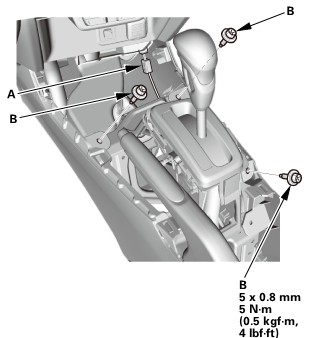 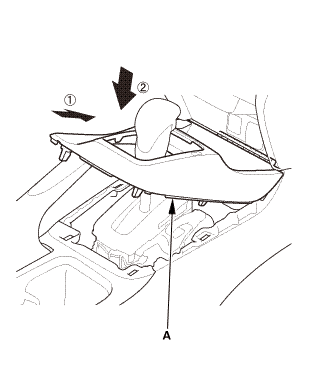 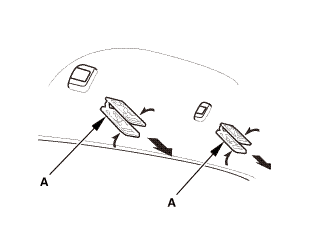 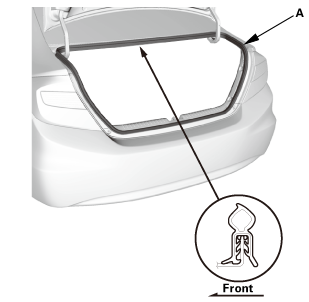 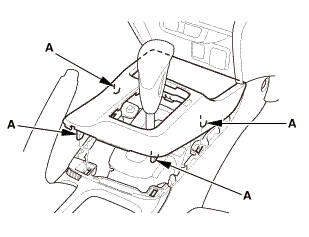 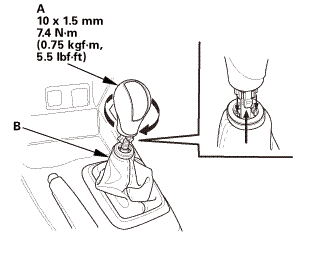 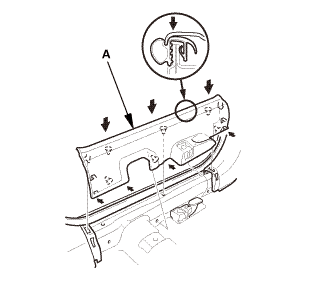 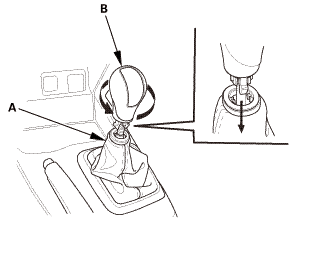 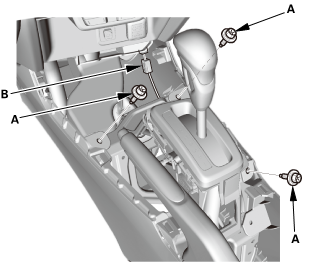 Pull out the moonroof front drain valve (B). 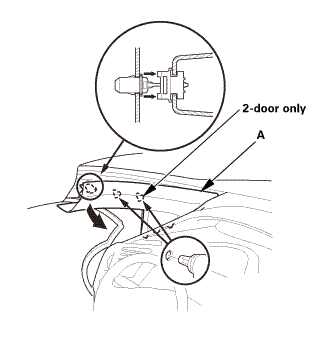 Tie a string to the top end of the moonroof front drain tube, then pull down the drain tube out of the A-pillar. 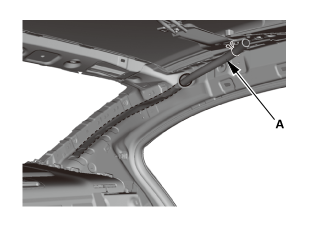 Leave the string in the pillar to use when reinstalling the moonroof front drain tube. 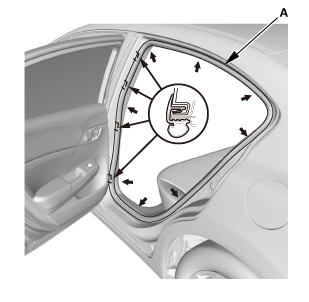 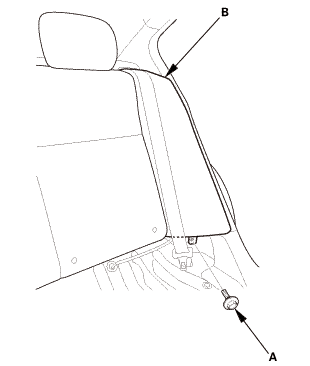 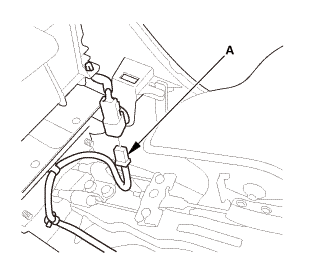 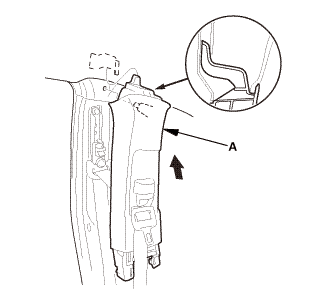 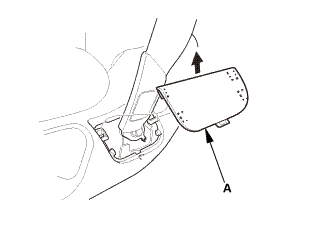 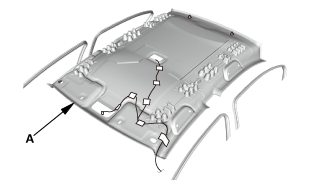 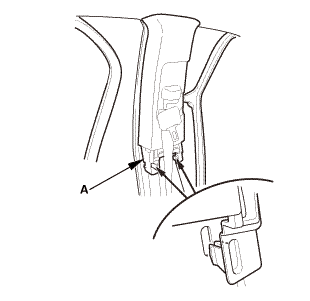 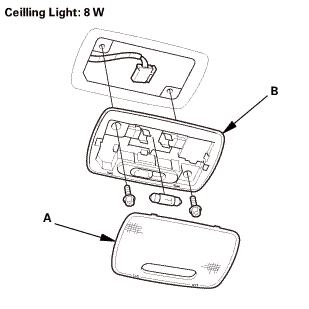 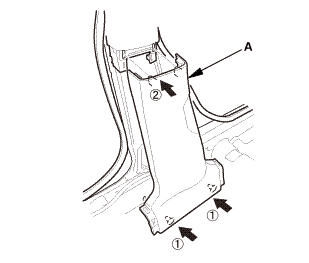 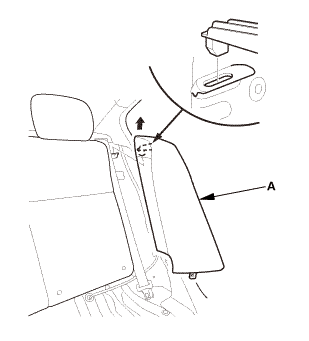 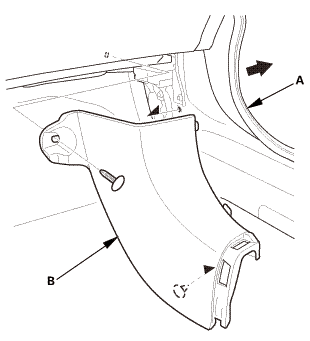 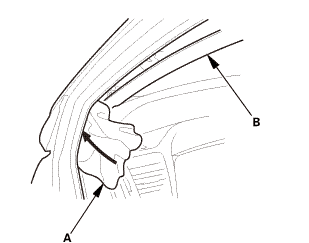 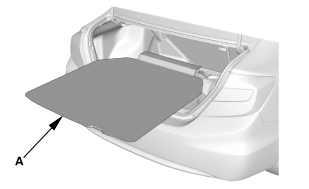 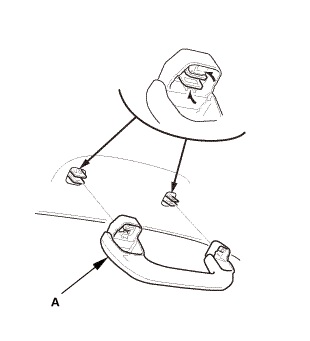 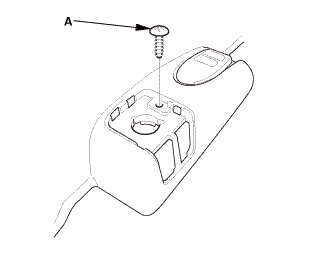 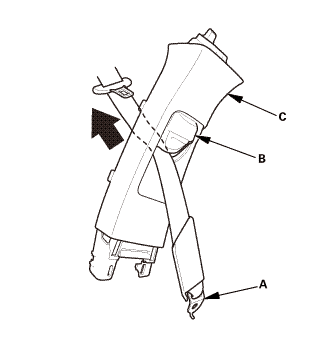 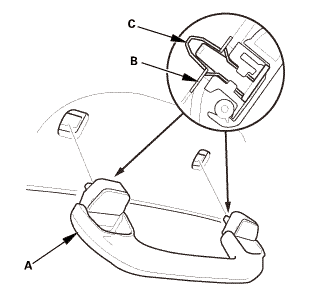 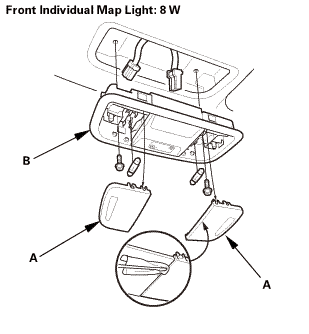 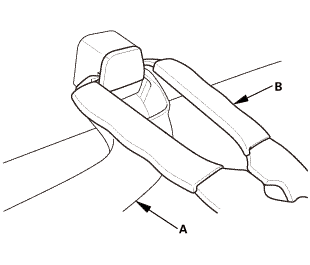 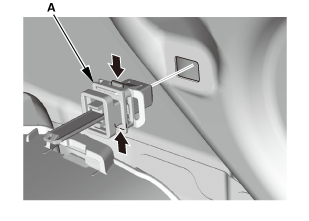 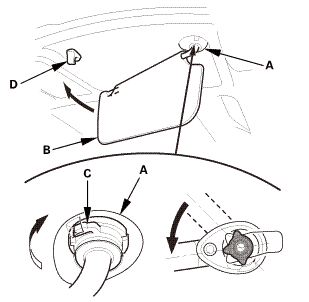 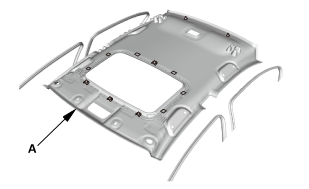 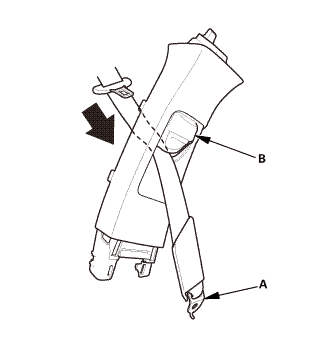 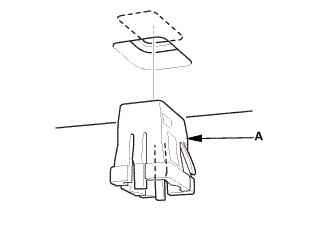 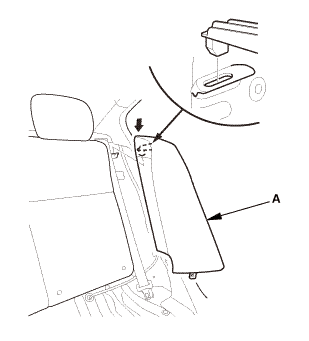 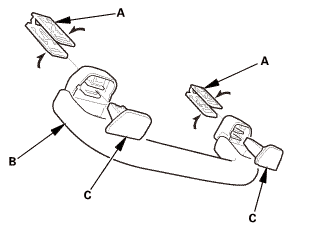 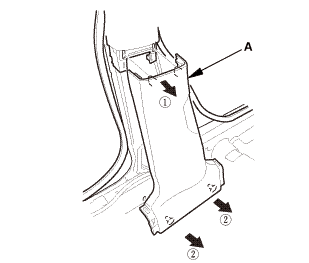 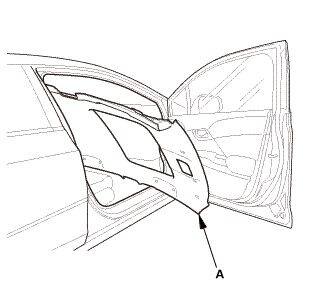 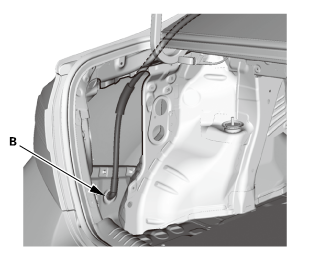 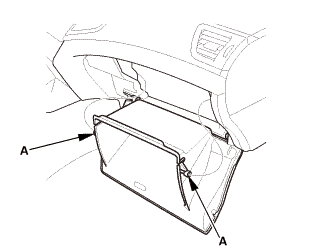 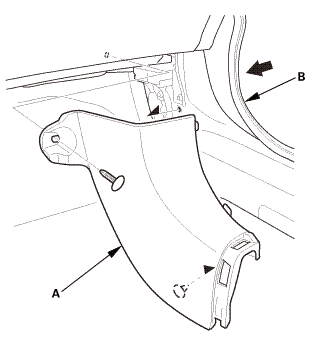 Disconnect the moonroof rear drain tube (A). 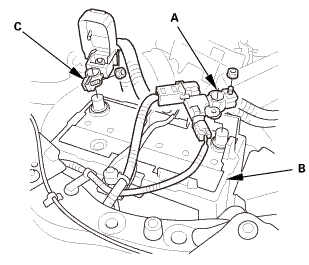 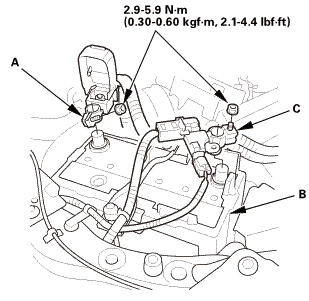 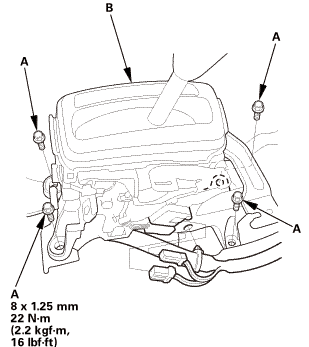 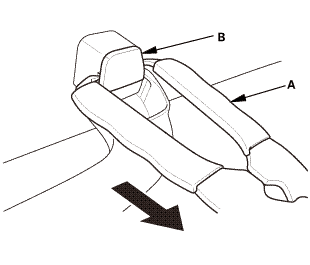 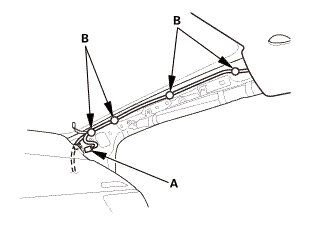 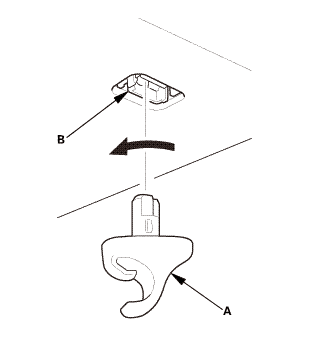 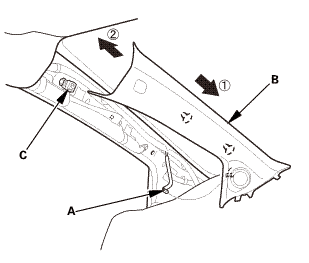 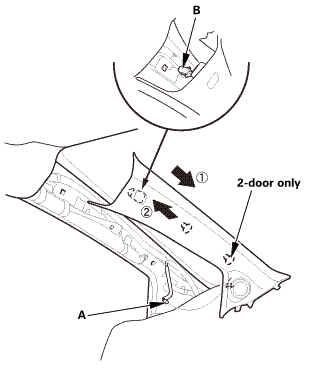 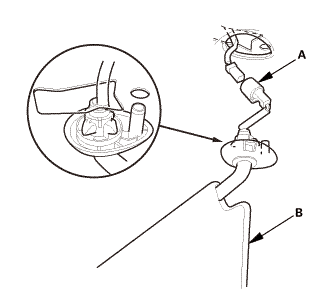 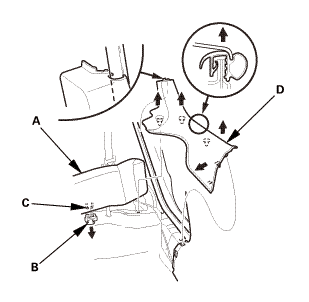 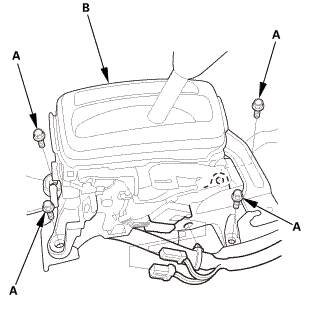 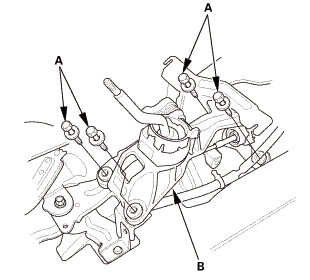 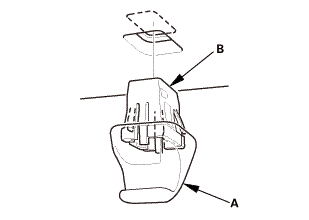 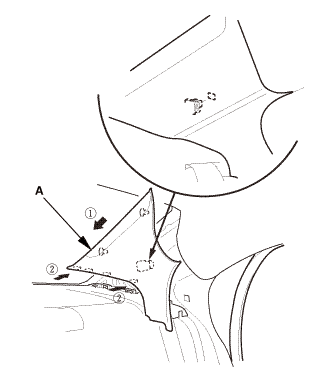 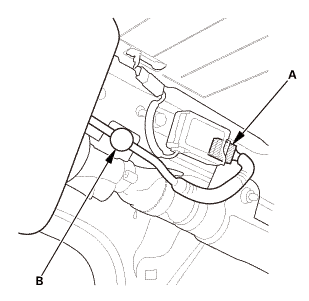 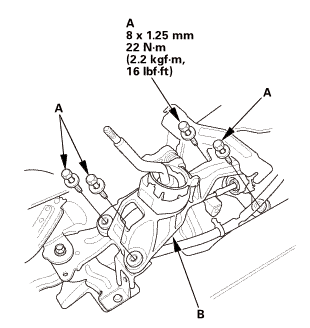 Pull out the moonroof rear drain valve (B). 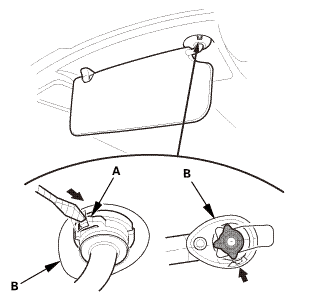 Tie a string to the top end of the moonroof rear drain tube, then pull down the drain tube out of the pillar. 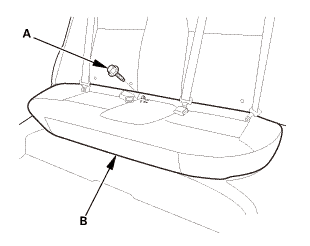 Leave the string in the pillar to use when reinstalling the moonroof rear drain tube. 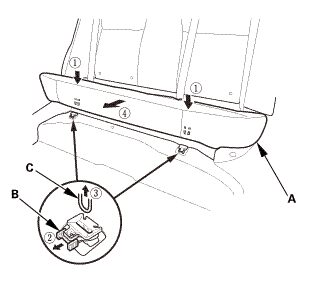 Tie the string that was left in the pillar to the top end of the new moonroof rear drain tube (A) and pull it up into the roof. 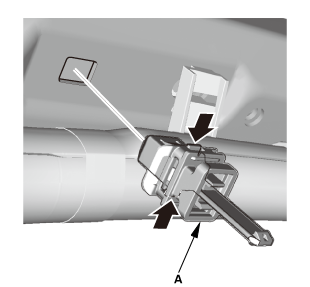 Connect the moonroof rear drain tube. 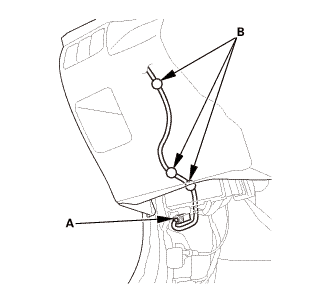 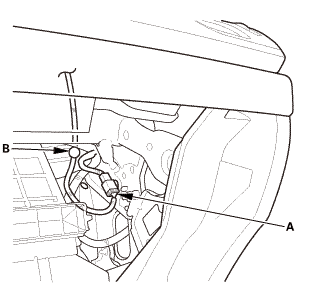 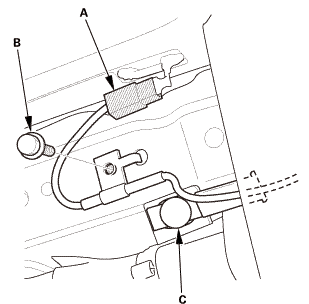 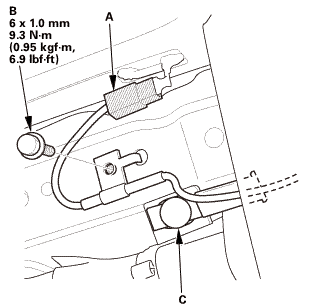 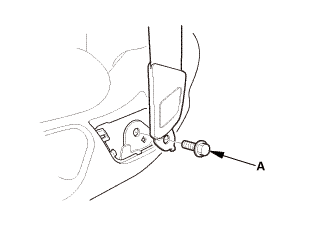 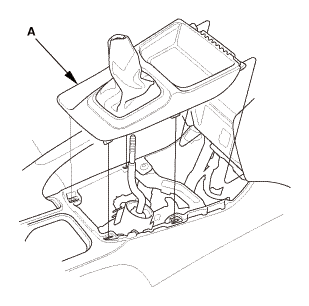 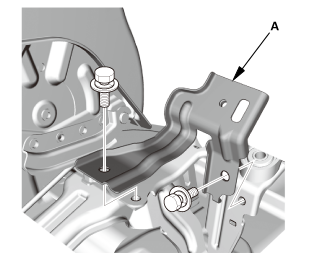 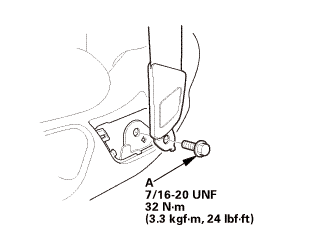 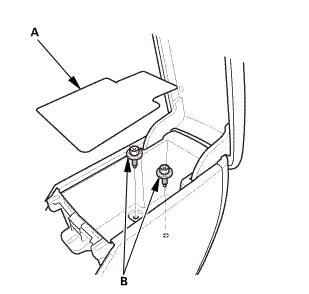 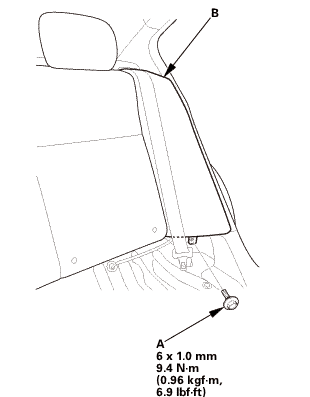 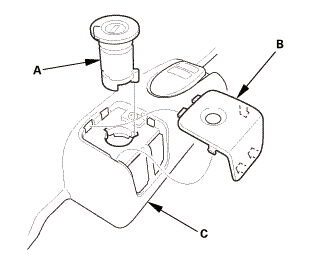 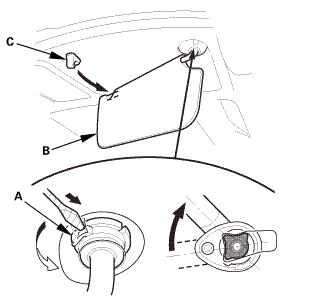 Install the moonroof rear drain valve (B). 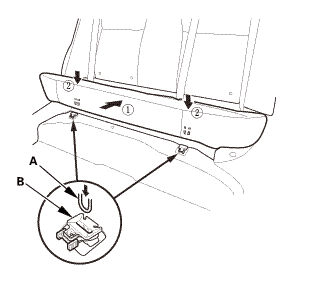 Tie the string that was left in the A-pillar to the top end of the new moonroof front drain tube (A) and pull it up into the roof. 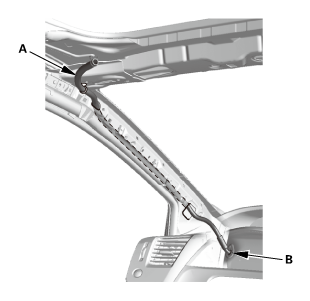 Connect the moonroof front drain tube. 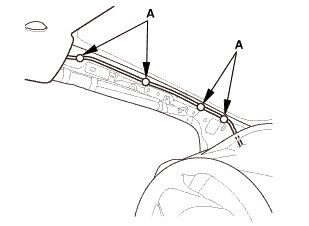 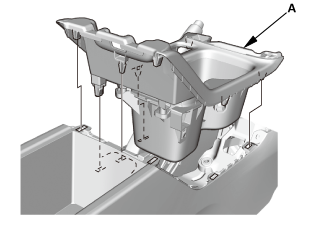 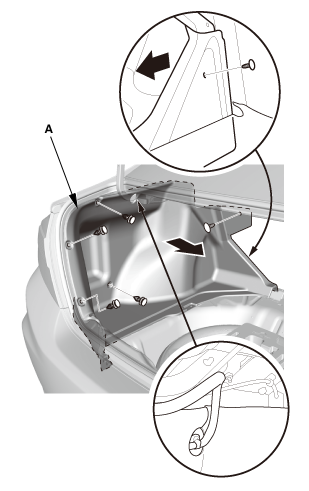 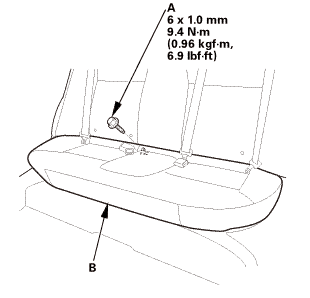 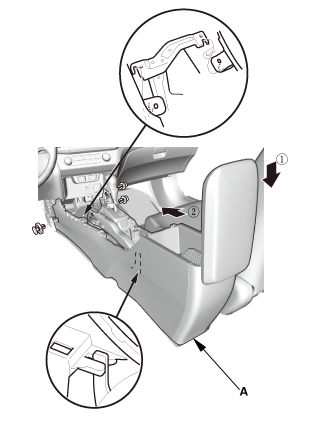 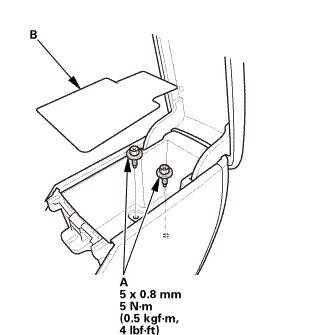 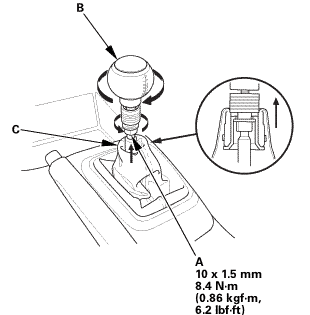 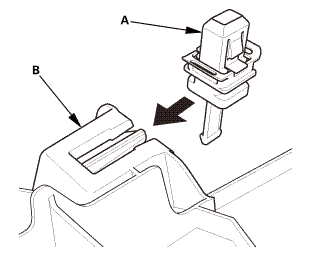 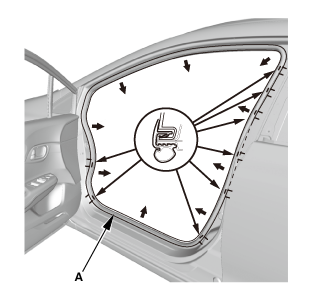 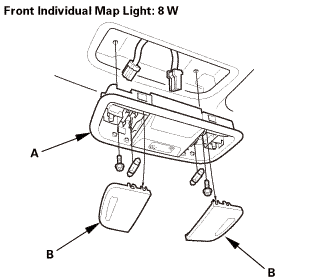 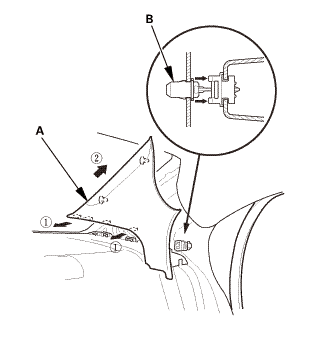 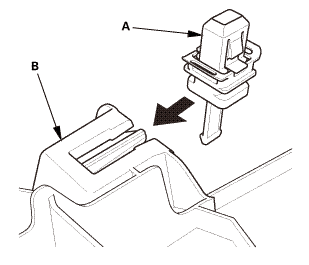 Install the moonroof front drain valve (B).